Resistance to Colistin: A Doomsday Scenario? Julie Perry calls for action to prevent antibiotics resistance. A report published in The Lancet Infectious Diseases on November 18, 2015 documented the emergence of a new form of antibiotic resistance in China. This report has garnered a lot of international attention because scientists found resistance to colistin, an antibiotic of ‘last resort’ without which many bacterial infections would be completely untreatable. Bacteria carrying this new resistance gene were found in raw meat, food animals, and some hospital patients. As these bacteria spread, so too does resistance to colistin. What is most worrying to scientists is the fact that the resistance gene found in the bacteria was found on a mobile genetic element called a plasmid. This means that the resistance gene can easily spread amongst bacterial species and could eventually end up in bacteria that cause severe disease. Antibiotics are drugs that kill bacteria. They do so by targeting structures or genetic pathways that are only found in bacteria (not in humans or animals), and are therefore generally very safe and effective drugs. Antibiotics are vital to the treatment of infectious diseases. They are also crucial to the prevention of infection following Cesarean sections, organ transplantation, cancer chemotherapy, kidney dialysis, and a myriad of other areas of modern medicine we now consider routine. The downside of the ubiquitous use of antibiotics, however, is the development of antibiotic resistance. 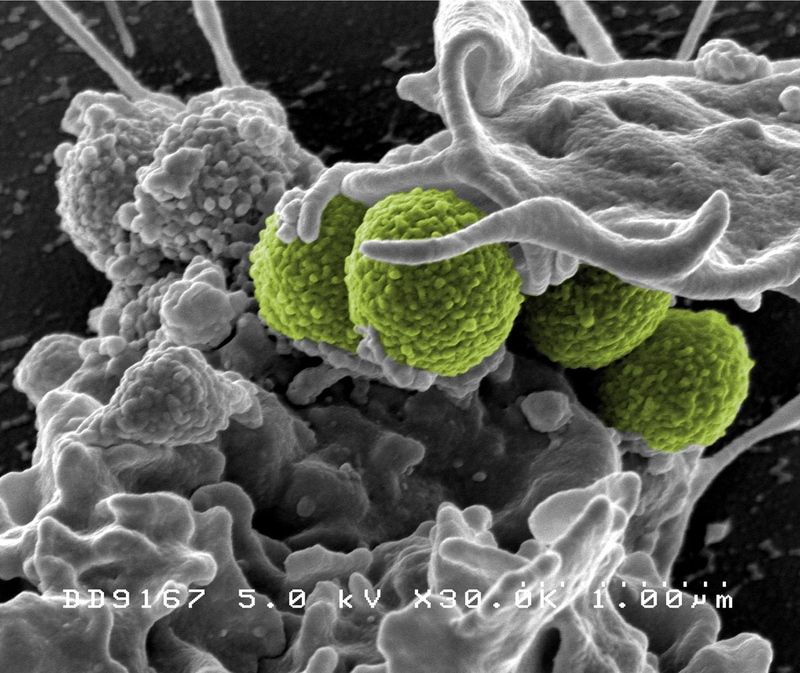 Antibiotic resistance is generally a misunderstood concept. When we talk about antibiotic resistance, it’s important to remember that it is the bacteria that are becoming resistant to treatment, not the host (for example, not the humans or animals). This is an important distinction because it means that the collective global use of antibiotics is what is driving the resistance. Even if you personally take antibiotics as prescribed (or have never taken antibiotics at all), you can contract an infection that is resistant to antibiotics. Resistance continues to develop because only bacteria that are resistant survive antibiotic treatment, and go on to spread to other hosts. While there are certainly resistant bacteria in hospitals, over 50% of the world’s use of antibiotics is in agriculture. Antibiotics are often added in low doses to animal feed as “growth promoters”— they are thought to help animals gain muscle mass and stay healthier under the duress of intensive farming. Colistin is an older antibiotic with limited use in people due to toxic side-effects. This makes it a very inexpensive and frequent choice for farmers. Unfortunately, unsupervised dosing of entire herds of animals with antibiotics like colistin is a recipe for resistance development. The upside to reaching rock bottom is that the only way left to go is up. The attention given to the Lancet report will hopefully translate into research dollars for scientists working on antibiotics. Finding new antibiotics is important, of course, but so too is the study of how resistance evolves, how it spreads, and what reservoirs of resistance already exist in our environment. Stewardship and regulation of the antibiotics we currently have is key to prolonging their clinical utility. Antibiotic resistance is a global problem, and the time to act is now. Julie Perry is a post-doctoral fellow at the Institute for Infectious Disease Research, McMaster University.